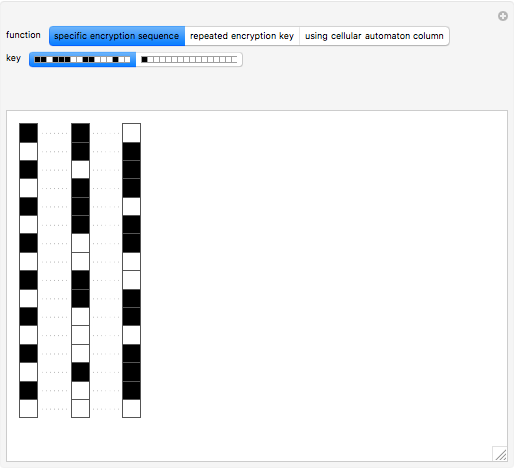 This Demonstration shows three different ways to encrypt messages. 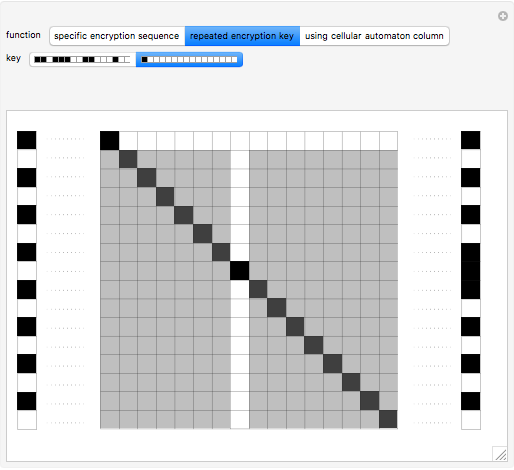 The first is a basic scheme for encryption. 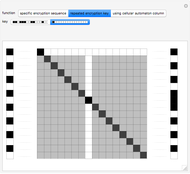 Starting from one particular message (an array of 0's and 1's represented vertically by black and white cells), an encrypted message is generated by reversing the color of each square for which the corresponding square in the encrypting sequence (the key) is black. 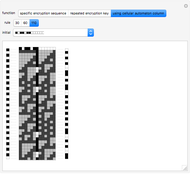 The second generates the encryption sequence by repetitively cycling through the elements of the key. 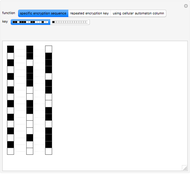 Again the original message is shown on the left, the key in the center, and the encrypted sequence on the right. 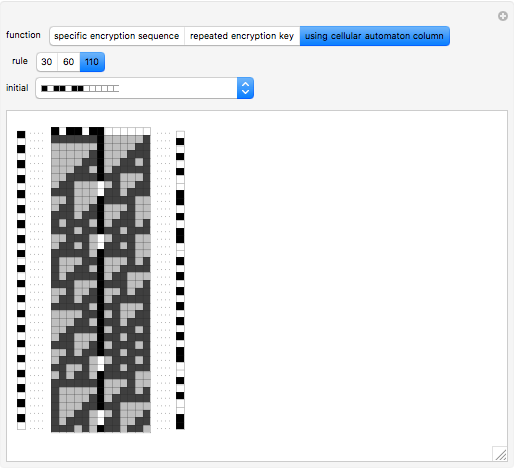 The third uses a column of a cellular automaton to encrypt the message. For more information, please see A New Kind of Science, pp. 598–603 (NKS|Online). Abigail Nussey "Encryption of Messages"